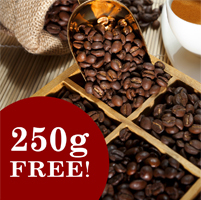 If you buy 2kg of the same selected blend we will throw in 250g free ! Click HERE order and for terms and conditions. 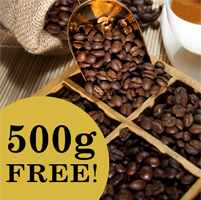 If you buy 3kg of the same selected blend we will throw in 500g free ! Click HERE order and for terms and conditions. FREE FREIGHT anywhere in Australia for all online orders over $50. Simply choose the FREE FREIGHT option when you check out.